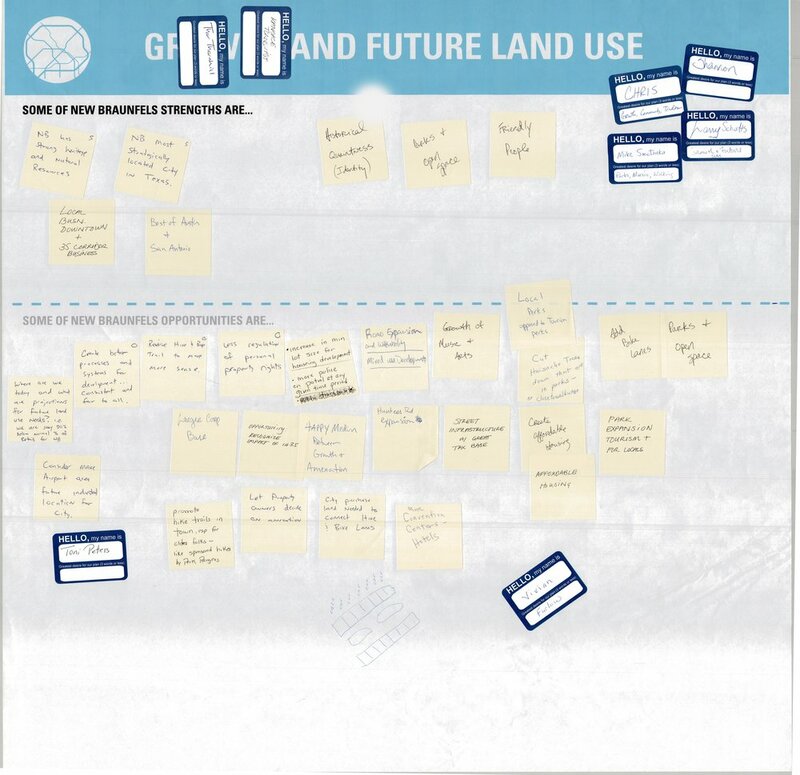 On November 29, more than 230 community and Planning Element Advisory Group members gathered for the first Visioning Workshop of Envision New Braunfels. 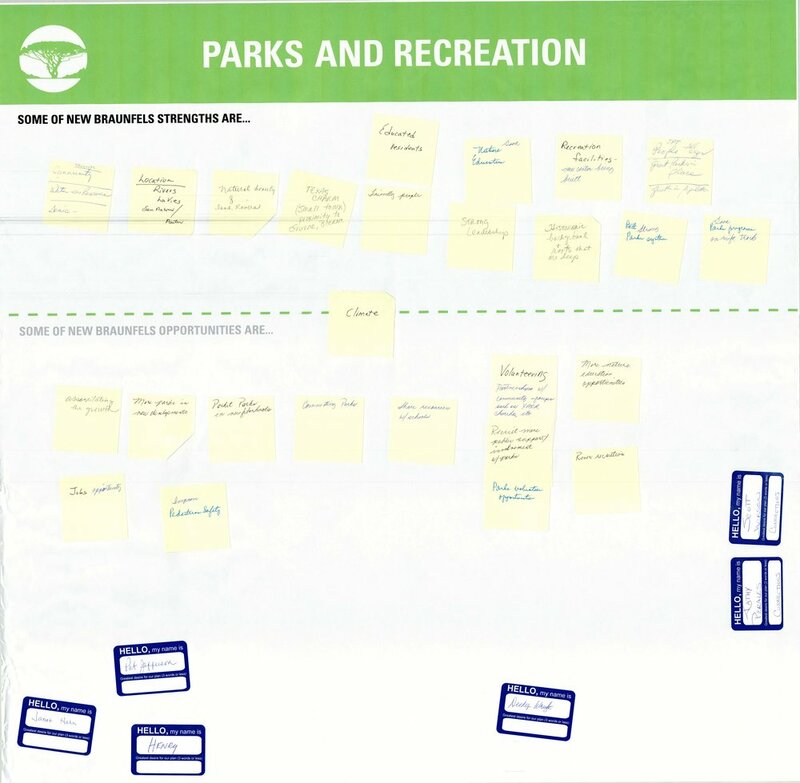 The dialogue featured activities that introduced the plan, explored strengths and opportunities, and collected input on the community’s vision for the project. 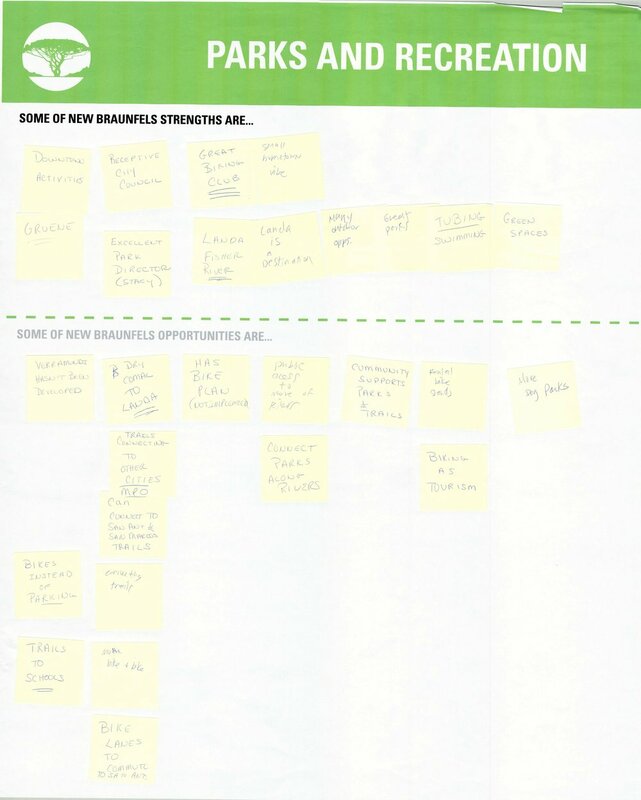 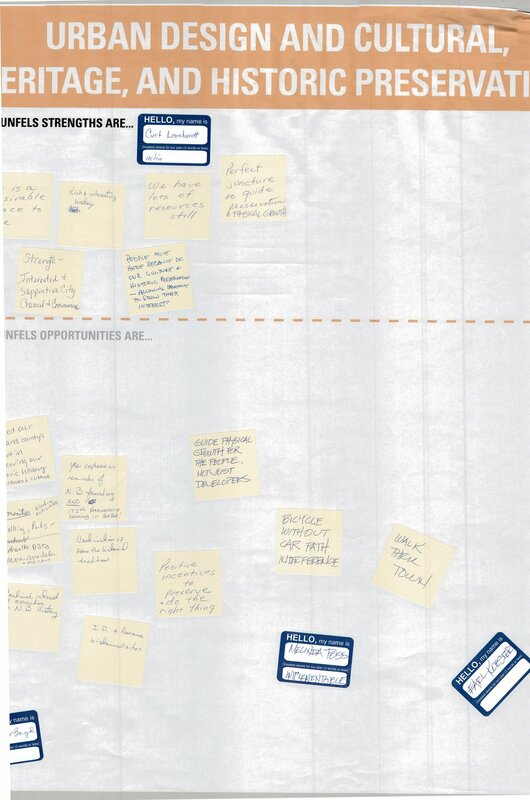 Strengths and opportunities sticky note exercise. 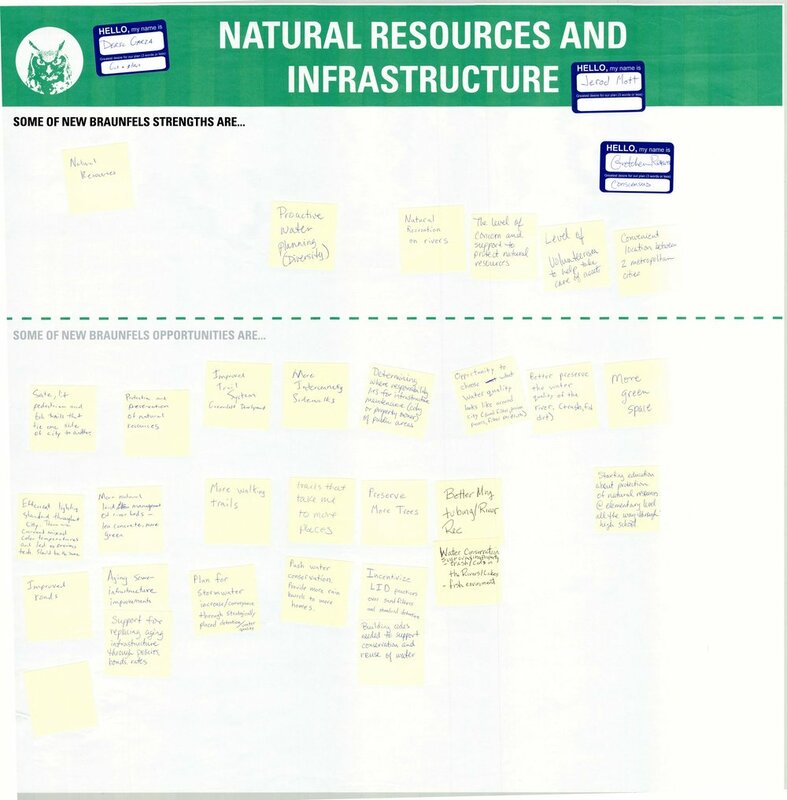 DOWNLOAD A FULL PDF OF ALL RESULTS or click below to see results for each Plan Element topic. 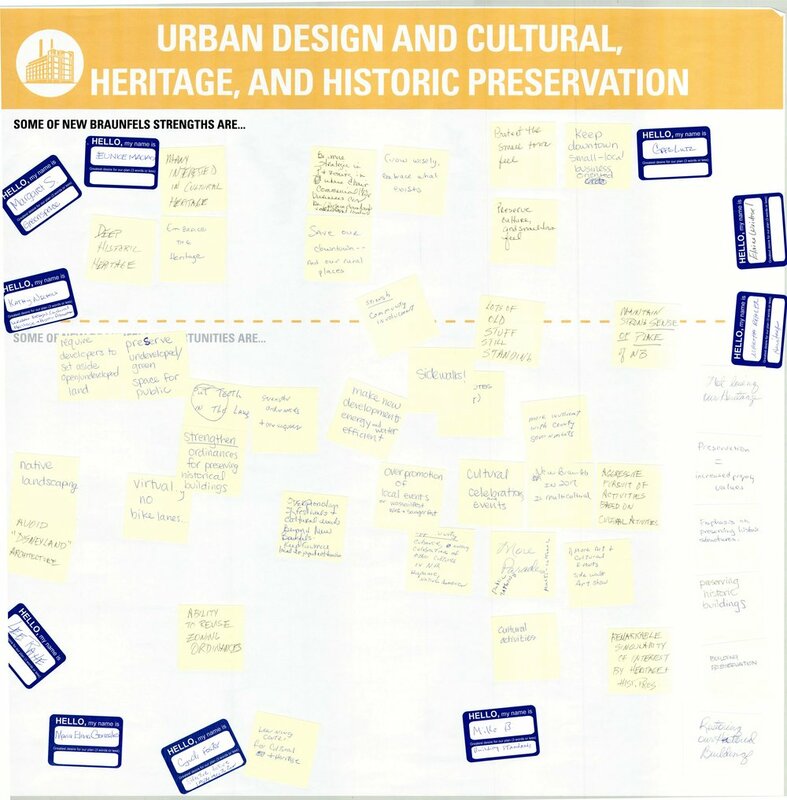 An online survey to gather feedback on a vision, strengths and opportunities for growth and future land use, urban design and cultural, heritage and historic preservation, parks and recreation, economic competitiveness, tourism, transportation, natural resources and infrastructure, education and youth, facilities, services and capital improvements. 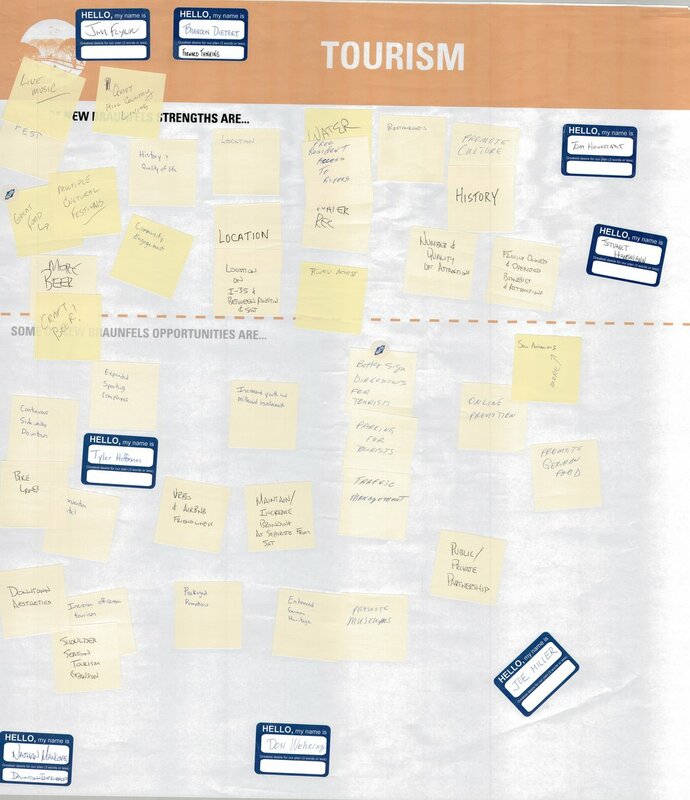 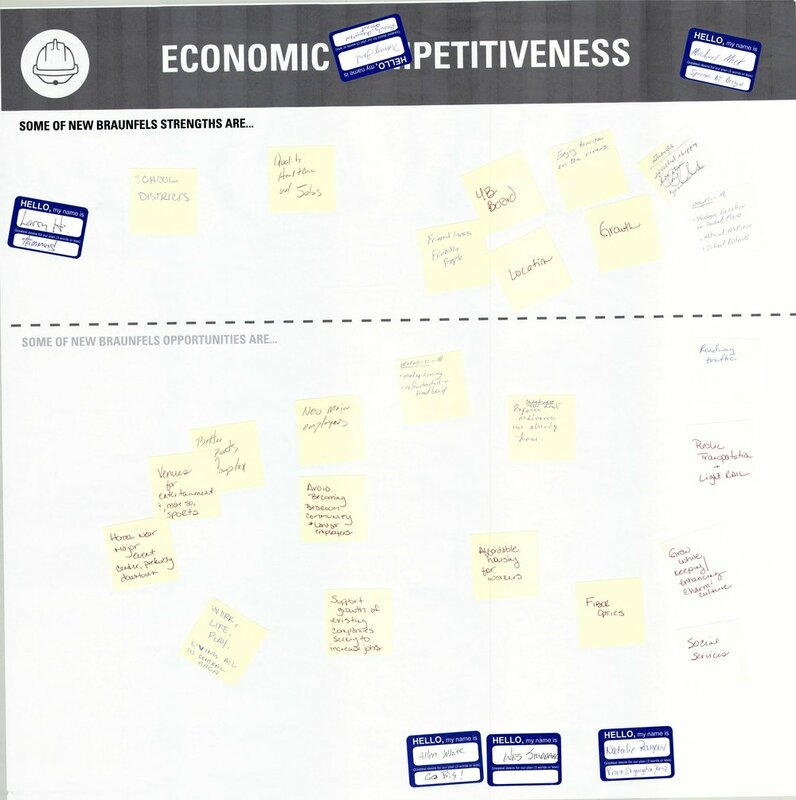 Through a strengths and opportunities sticky note activity, community members brainstormed ideas for the future of New Braunfels. 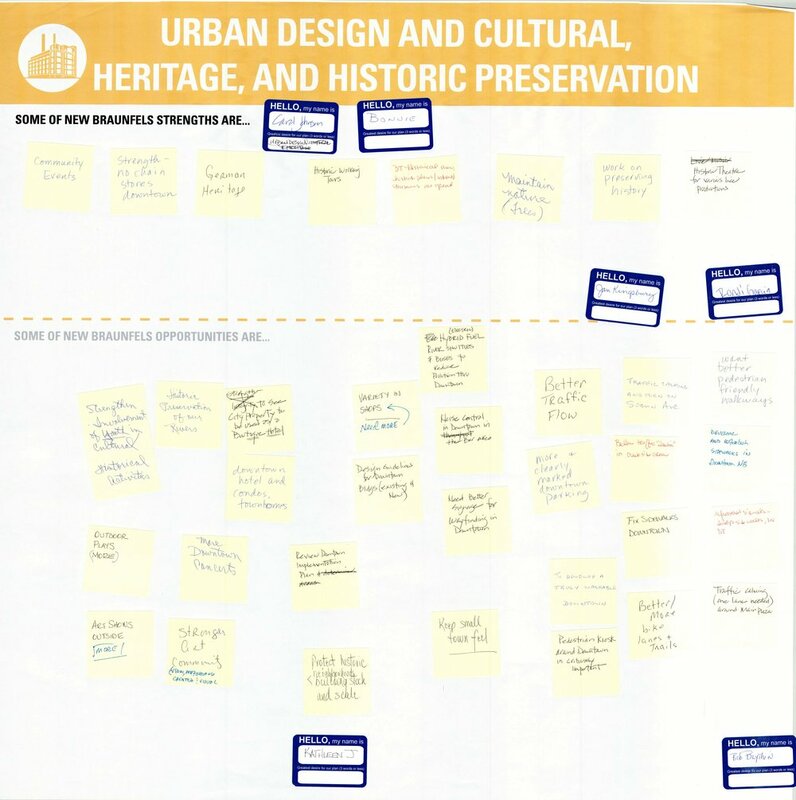 An “About Me” icebreaker introduced Planning Element Advisory Groups, community members and Steering Committee liaisons to each other.